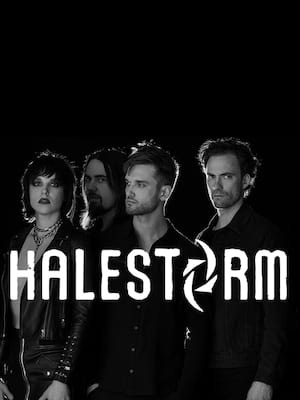 Following their triumphant 2019 Grammy Award nomination for Best Rock Performance, hard-rocking Pennsylvanian quartet Halestorm are keeping up the momentum and hitting the American road this spring. Awarded the accolade for their heavy-hitting lead single 'Uncomfortable' from their 2018 album 'Vicious', the band has honed their penchant for monster choruses, massive riffs and driving rhythms since their formation in 1999, culminating in their bombastic fourth studio offering. EDM underdog Julian Scanlan AKA Slushii overcame his early struggles with Asperger's Syndrome and middle school bullying to become one of the most hotly in demand producers/singer songwriters of the club, dance and dubstep scene. Collaborating with the likes of Marshmallo and MHKAZ, Scanlan attracted millions of online streams with his remixes of the Chainsmokers' 'Closer', Lara Larson and Alan Walker. 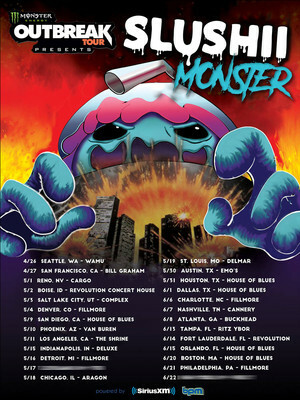 Flying high after the release of his 2018 sophomore record Dream, the multi-talented electronica wizard headlines the Monster Energy Outbreak Tour this Spring. 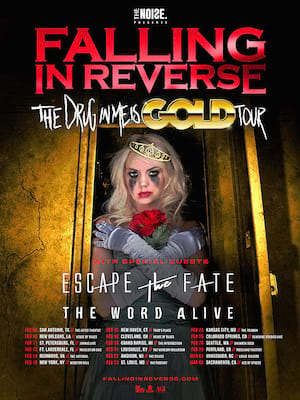 Nevada native rockers Falling In Reverse prepare to tour North America, two years after the release of their last album. The band who formed in 2008, consist of Ronnie Radke on vocals, Derek Jones and Max Georgiev on guitar, Zakk Sandler on the keyboard and Tyler Burgess on bass. 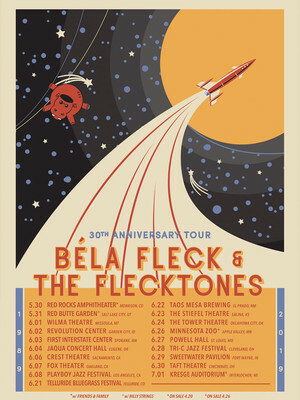 Groundbreaking banjoist/composer/bandleader Bela Fleck reconvenes with the original Bela Fleck & The Flecktones, the extraordinary initial line-up of his incredible combo. While all manners of genres come into play - from classical and jazz to bluegrass and African music to electric blues and Eastern European folk dances - the result is always an unforgettable performance. Bela et al will be reuniting for a very special two-week only tour this summer - not to be missed! Please note: The term Revolution Concert House and Event Center as well as all associated graphics, logos, and/or other trademarks, tradenames or copyrights are the property of the Revolution Concert House and Event Center and are used herein for factual descriptive purposes only. 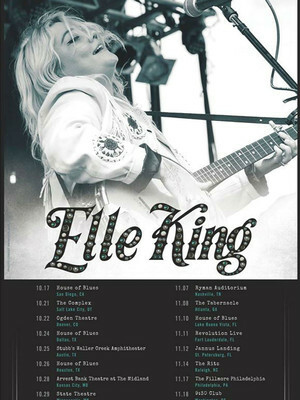 We are in no way associated with or authorized by the Revolution Concert House and Event Center and neither that entity nor any of its affiliates have licensed or endorsed us to sell tickets, goods and or services in conjunction with their events.